Ahh, concealer. It's one of those "first baby steps" makeup products that we try out to cover up acne spots in our youth and dark under eye circles from late nights studying or, let's be fair, late weekends out in college. Over the last several years I've tried my fair share of concealers and feel pretty happy with my arsenal of concealing tools as well as techniques to seamlessly apply them for a flawless, yet natural look. Lets go over some of the best options from all price points as well as my easy application technique! Readers, what is your favorite concealer and what areas do you use it for? Let me know in the comments! thanks!! i need to take notes on this video!! Thanks so much for sharing your tips! The Maybelline Fit Me Concealer in Sand must be great because it is never in stock when I try to buy it. I love the tarte concealer too. I also use one by amazing cosmetics that really covers the dark circles under my eyes. I enjoyed learning about the way you use concealer in your video. I will have to try the patting method you use when covering spots and acne. That is one great video! I am bookmarking it for reference! I remember watching your contouring video sometime last year and ever since have been a big fan of yours! I really want to try the Tarte creaseless concealer, looks great on you! hey jenn, this video was perfect timing. I've been comparing concealers this whole week! I tried the Cle de Peau Beaute Concealer in Beige and I agree with you that it's a bit on the drier end. However, I've been using Chanel CORRECTEUR PERFECTION LONG LASTING CONCEALER and it has better coverage, lasts all day, and it's very moisturizing + does not crease. I use 20 Beige Ivoire. Try it out :) it's $30 less than the Cle de Peau Beaute. Nothing else I've tried have matched up to this Chanel one. But I will give the Tarte one a try. Thanks for sharing. i love the maybelline age rewind concealer in light. It's amazing! Jen, as a fellow animal lover, it would be nice if you used cruelty-free products. i have been looking for a new concealer. and maybe even a foundation.. :P i feel like every time i see you my skin clears up.. but other times i AM breaking out! Thank you I've been trying to find a new concealer!!! Gonna try Maybelline fit me and Tarte! natural and flawless Jen ! Great video! 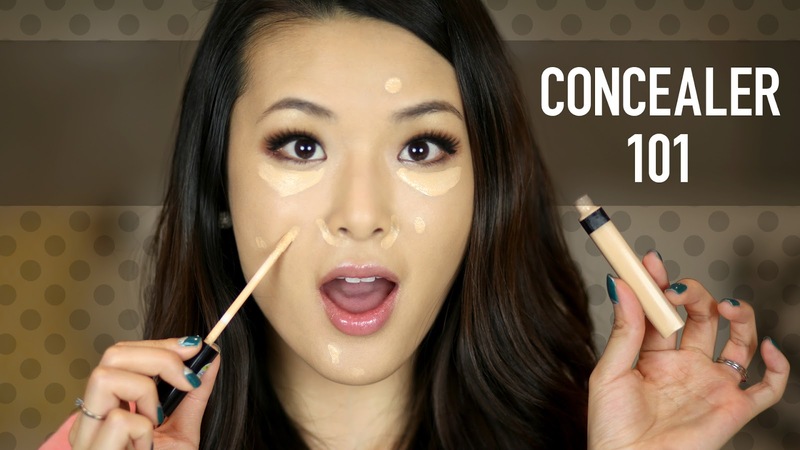 Learned a lot and will use these tips, especially since I think concealer is a great tool. Thank you for posting this. Jen!! I have really dark eyelids. No matter what colour i apply on it, it turns out to be greyish. I had difficult time finding the rite Concealer for my eyelids. Do u hv any recommendation or special ways to apply concealer on eyelids? Hi Jen! I hv really dark eyelids. All eyeshadows appeared to be greyish on my eyelids. Any recommendation on which concealer that has this specific function or ways to apply it on dark eyelids? Jen, I love your hair in this video!! I want to add some auburn/caramel highlights for summer but I don't want anything too dramatic. Do you have any product recommendations for DIY or would you just recommend going to a salon? Thanks! I was wondering how you apply your jouer matte moisture tint?? I know in the video you were applying it with your hands but I wanted to ask to double check! I love to do make up.My complexion is fair and i have some dark spots on my face what type and brand of concealer should i use to remove all the dark patches.please suggest me some good concealers. What's the eyeshadow you're using in this video?